Search the newest Kentwood homes for sale in beautiful Red Deer below! Learn more about this diverse community. As a vibrant and exciting city, Red Deer is home to many neighbourhoods and communities that cater to specific needs of homeowners. 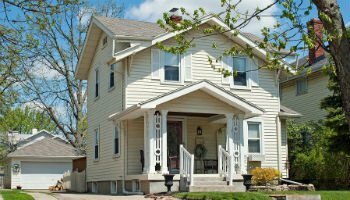 In the northern end of town lies a peaceful and quiet suburb with many interesting and unique features perfect for young professionals, empty nesters, young families, and more. 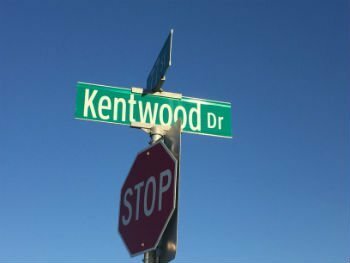 Kentwood is located between Taylor Dr. and Gaetz Ave. Surrounding the beloved Kentwood Park are many unique homes ranging from high-end two-level homes and bungalows, mid-range townhomes, and more. Kentwood homes for sale in this area enjoy the amenities and advantages of being close to town while taking advantage of being part of a smaller, close-knit community with scenic agricultural land bordering to the north. Discover the latest listings in Kentwood or continue reading to find out more about this diverse community. 29 Properties Found. Page 1 of 4. Do you want to beat out your competition by having access to the newest Kentwood real estate listings first? Register with McDouall Real Estate and we'll notify you as soon as a property that meets your search criteria becomes available! Eastern and western Kentwood real estate consists of large detached homes, townhouses, and row homes. A quiet suburb, the area's winding streets and easy access to the rest of the city make it a popular choice for homeowners looking for a peaceful neighbourhood without venturing too far away from the city. Homes in this sector range in price, with higher-end homes encompassing the single detached variety and mid-to-low range price homes including semi-detached homes and townhouses. A diverse market means affordable options for any budget. As a newer neighbourhood, most homes have been built in the past 25 years. Open concept kitchens, finished basements, rich hardwood floors, and modern appliances are popular features in many properties. Most properties feature at least a one-car garage with backyards big enough to enjoy and entertain guests outdoors. With these desirable features, Kentwood real estate is popular with first-time homebuyers, empty nesters, small families, young professionals, and more. Close your eyes and imagine a picturesque neighbourhood with beautifully manicured yards, large trees on every corner, and kids riding their bikes up the safe streets. Now picture yourself in downtown Red Deer. In the peaceful and diverse community of Kentwood, it's possible to get the best of both areas. The perfect community for commuters and young professionals, Kentwood offers homeowners the opportunity to feel the benefits of a small community with the amenities and advantages of city life. Learn more about this diverse neighbourhood by calling McDouall Real Estate at 401-396-7355 today. Or if you prefer, simply send him a message online!